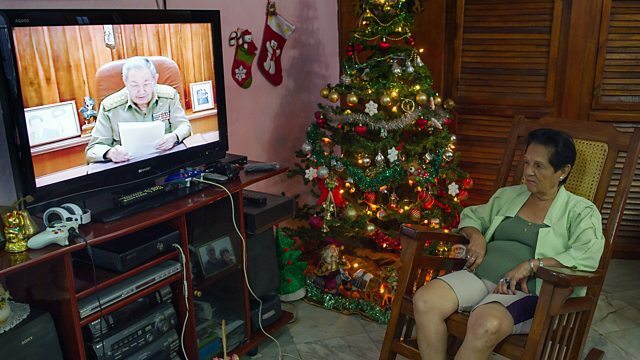 President Obama says he wants to end five decades of economic embargo with Cuba, and Sony pulls its big Christmas film after hacking attacks that are being linked to Noth Korea. As President Obama hails a 'new chapter' in its relations with Cuba, we ask if this is this going to represent an economic rescue for the Communist-run island republic? We also get reaction on the shock cancellation of Sony's release of a big comedy film after threats and hacking apparently coming from North Korea. Plus, why sales of macadamia nuts are up twenty-fold. We are joined by two guests on opposite sides of the Pacific - David Kuo of the Motley Fool in Singapore and Peter Morici, an economist at the University of Maryland, in Washington.